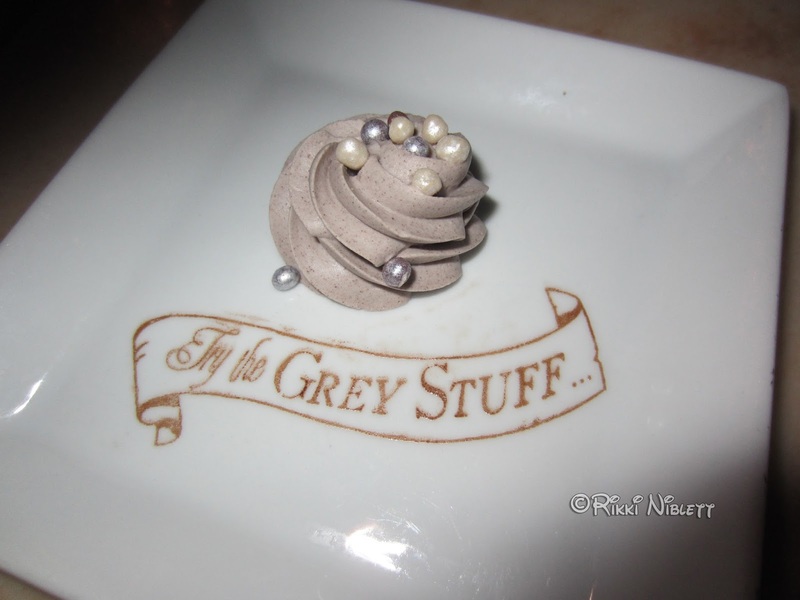 As many of you know, I've been excited about this restaurant since it was announced for New Fantasyland. I mean, part of it is, of course, because of the podcast (I mean, they named it after us, right?) 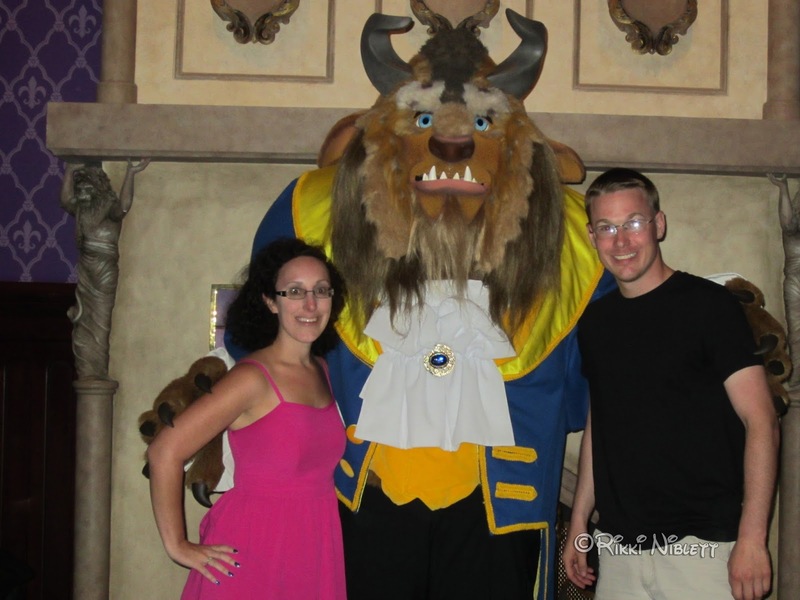 but part of it was because I grew up with Beauty and The Beast. I pretended to be Belle as a young girl, she was like me, she loved to read! The movie really struck a cord with me. So, when the restaurant opened, I patiently waited for my chance to get to dine here for the first time. 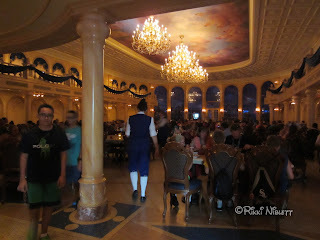 I booked my Advanced Dining Reservation at the 180 day mark, which is a MUST if you want to dine in this establishment. Otherwise, you aren't getting in. I even had trouble booking my reservation, having an extremely early dinner seating (at 4:45 pm) available to me. The day had arrived and I was ready. We walked up to the podium and easily got into our reservation. We had originally scheduled a table for 6, but it ended up being just me and my hubby who made it to dinner. So, it took them a minute to figure out where to seat me. This was the only bad part of our experience. Because they didn't have the right spot for us, we got seated in a table that ended up being right in the front of the main ballroom, right next to the door where Beast meets guests. This Essentially ruined any chance of having a romantic meal...people kept distracting me by trying to get in to meet the Beast. I can't be too upset though because it was my fault for not bringing the table of six they thought I was. I just didn't feel as included in "the show" as I felt I could have been. 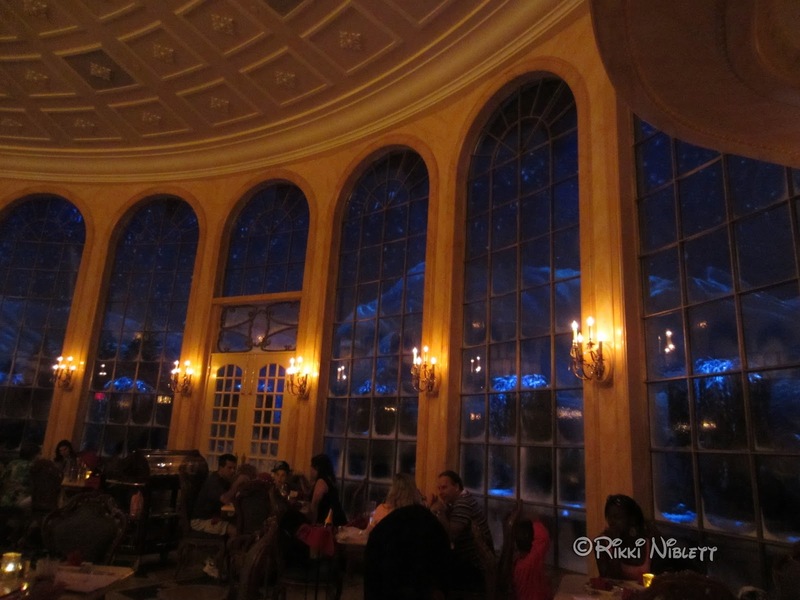 I did think that the room was beautiful and exactly like it was in the movie. I also loved the snow effect outside. Brian and I looked over the menu and immediately I knew what I'd wanted. 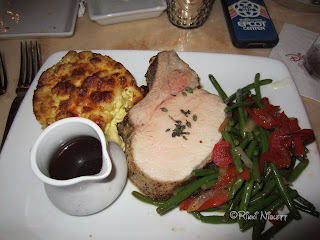 I had heard great things about Thyme-scented Pork Rack Chop with the au gratin macaroni and cheese and seasonal veggies. It was really good. Though, to be honest, I much preferred the creamy mac and cheese and the delicious green beans to the meat. I could have just eaten those and gotten full! (I still crave both.) Brian got the Pan-seared Salmon on Leek Fondue, which is served with mashed potatoes and he thought it was outstanding. It was then time for dessert. I was super ready for this. 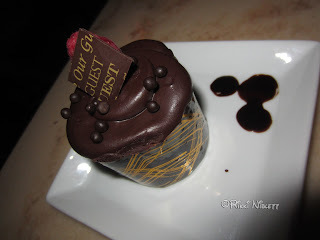 I had been wanting to try the Triple Chocolate Cupcake. Holy wow! Was it incredible. My only little problem...it was REALLY HARD to take off the wrapper! I didn't want to smash the cupcake, but they really made it hard to take it off delicately. 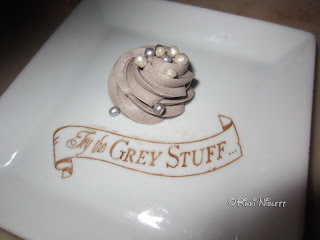 We were also celebrating my birthday this trip, with my big day being right around the weekend, so they delivered to me The Grey Stuff! And...yes...I will say it's delicious. It's like a cookies and cream icing. It was very sweet. After we ate, we went and walked around, since we hadn't been given the tour when we were originally seated. While I loved the West Wing with the Enchanted Rose, my favorite part was actually the Rose Gallery, with the giant music box featuring Belle and The Beast. I really loved the pictures that they created for the room. They were quite creative. We then left and headed in to the Beast's Study to meet the master of the house. He was perfectly warm and inviting. A pure gentleman. Would I go back, yes, I would. Though, of course, it will be hard to get in there for dinner again. There are quite a few other options on the menu that appeal to me. I would certainly try for lunch though. I think that's a "little" easier to get into, if you can eat during off peak times...like right at open or before it closes for dinner. 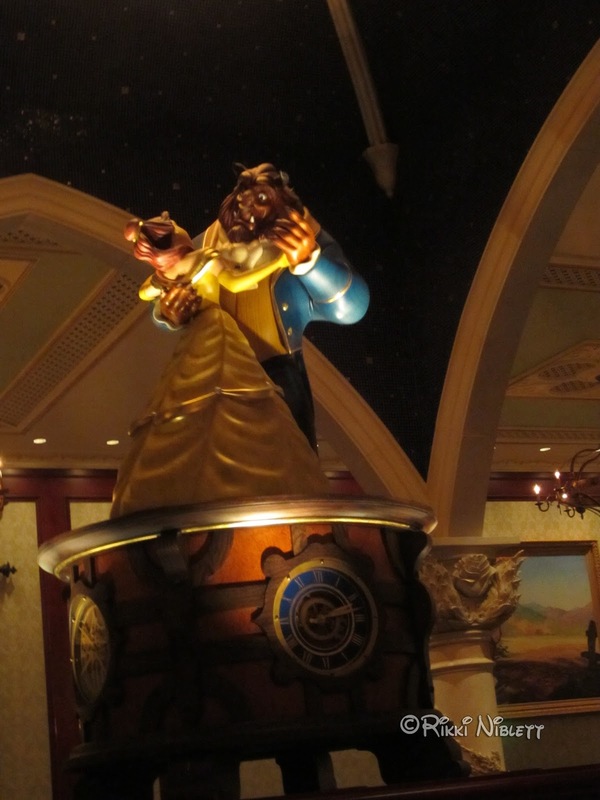 Have you been to Be Our Guest Restaurant yet for either lunch or dinner? What were your thoughts on the place? If not, what excites you most about dining here? Let me know in the comments or on Facebook.